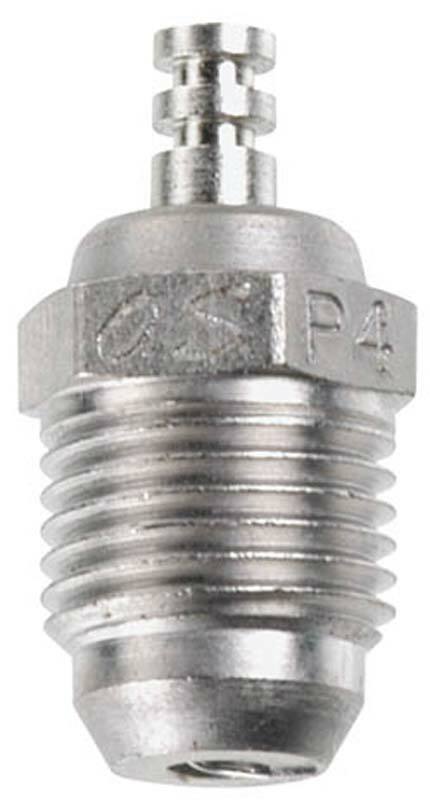 This is the P4 Turbo Glow Plug for use in the OS Max .21VZ-B VSPEC and .21VZ-B Speed Tuned Engines. COMMENTS: This glow plug is different from the conventional glow plug. It has a slight taper on the bottom allowing it to sit flush with the combustion chamber.